EHR Incentive Programs – Have you completed the Attestation questionnaire? 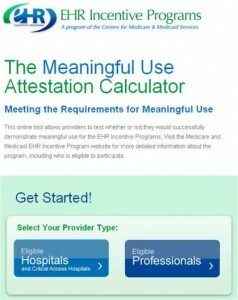 To see if you qualify as achieving “meaningful use” for the EHR Incentive Programs, you must complete the Meaningful Use Attestation Calculator. Keep in mind that Modern Image can help with EHR selection, installation, training, and meaningful use.